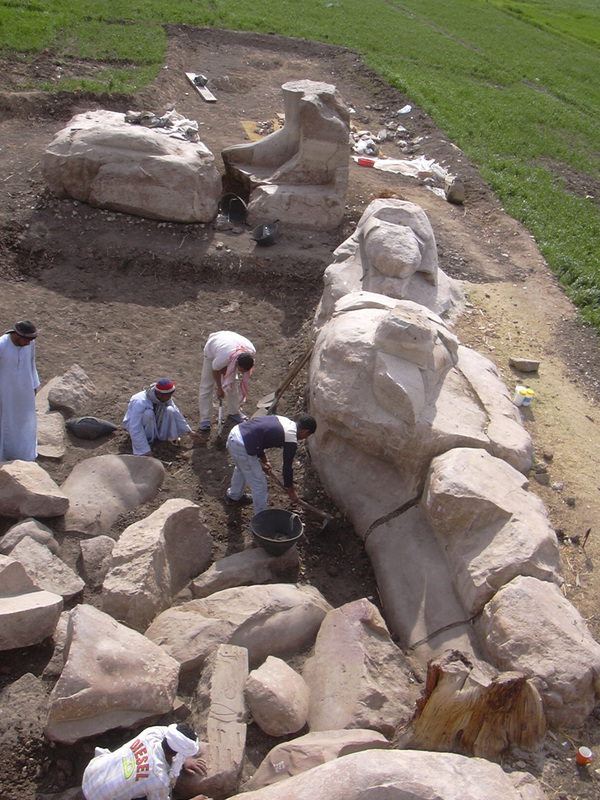 During the current excavation at the Amenhotep III temple on west bank,Luxor, a statue of Amenhotep III was found. 13 meters and 65 centimeters height makes this coloured Quartz statue the largest was found for Amenhotep III so far. The statue is broken into 7 large pieces and was found on the site where the mission headed by Dr. Zahi Hawass works for the past seven months. Zahi added “at the moment the process of restoring the statue and putting it together is ongoing to re-erect the statue in its original site. 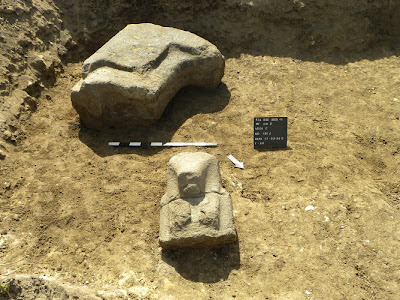 The head of the statue is still buried underground and excavation is on. Probably the discovery of the other Amenhotep statue will be found during this season. Archaeologist Abd El-Ghafar Wagdy(site inspector) said that the Egyptian mission headed by Dr. Zahi Hawass also found another black granite statue of Goddess Sekhmet measures 185 cm height and 74 cm width at the north of Amenhotep III temple as King Amenhotep III was interested in making statues of Sekhmet (Goddess of Healing in Ancient Egypt) when he was ill in his late days. Also a part of a statue represents God Thot in a shape of a Baboon.